RAPAPORT... Gem Diamonds has unearthed a 357-carat diamond at its Letšeng mine in Lesotho, it said in a Twitter post Monday. The light-brown stone, which the miner said is of “high quality,” is the 13th rough diamond over 100 carats the company has found this year. It’s the second-largest it has recovered in 2018, after the 910-carat Lesotho Legend it found in January. That stone — which the company claims to be the fifth-largest gem-quality rough diamond in history — sold for $40 million in March. 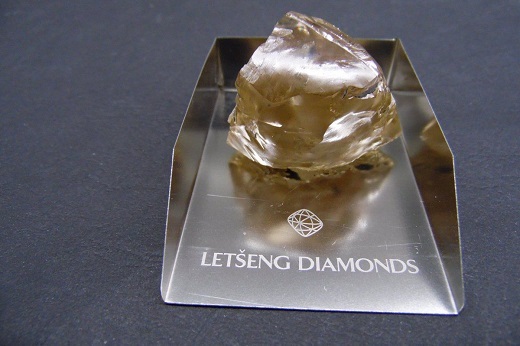 Gem Diamonds owns 70% of the Letšeng asset, with the government of Lesotho holding the remaining 30%.